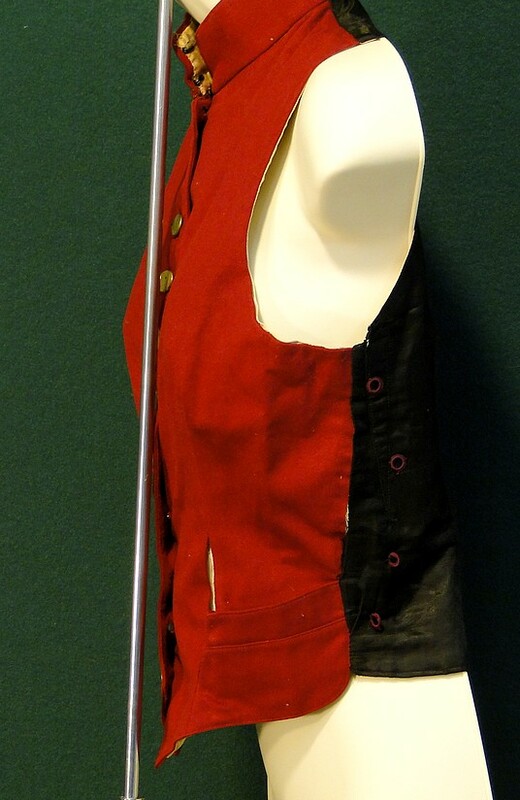 You are bidding on this wonderful Victorian brick red wool vest - back is black & I believe made of a heavy silk or satin - lining is muslin or cotton? 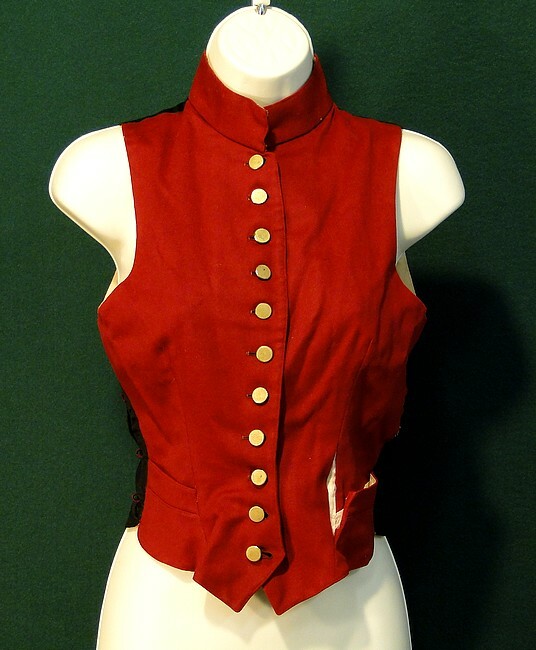 - not sure - there are 11 gold-tone buttons on front - high cross over neck - side pockets - low on bottom coming to points - there is 1 stay below bust to bottom on right side - the other side does not have one - 4 attached circles on each side which was for ties? - inside has some age spots - a little not bad at all - there is a pin hole on front near chest & near bottom right - lining is open on left side & near left side pocket otherwise I would say in very good vintage condition for the age. 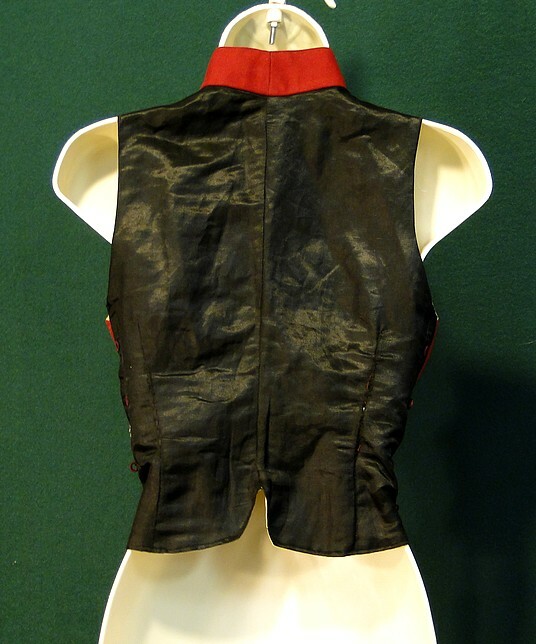 Measures across shoulders 11 inches - arm holes 9 1/2 inches wide - across bust line 16 inches - waist 26 inches around - top to lowest part of bottom 19 inches. Please ask any questions prior to bidding. Thank you for looking at my auctions.